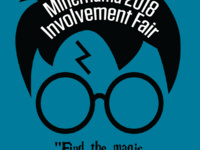 Come join Student Involvement for a day full of fun and "Find the magic of getting involved"! Meet with student organizations, campus departments, design teams, and community businesses. Very informational and a great time!